Discussion in 'Spell Casters' started by deadlydesire18, Aug 14, 2017. The spell caster goes by the name of Ariana and the website was actually an old discarded website that used to sell t-shirts with horses on them. That's probably why the website URL has "tees" in it. This website was then used for spell casting without even changing the URL. Talk about lazy. Apparently, this website asks for money right away. I've read some reviews saying that people would pay for their spells and they would expect to see a confirmation email 1-6 hours later saying that their spell has been cast. However, a lot of people never received that email and lost their money. They say that their spells are triple casted by professionals but there is no proof of any spell casting that is done. You probably don't even know who's on the other end since there are no pictures of physical address of these spell casters. Lastly, no spell can be completed in 1-6 hours. Its just not possible! I just don't see how that is possible without cutting corners or being like Xara’s website where everything is automated. Has anyone else tried Ariana from chiefshealingtees.com? I would love to hear your thoughts about this spell caster. Yes @deadlydesire18 , I was scammed by Ariana from www.chifshealingtees.com. I found her through Google, went to her website and submitted information for a free reading, which basically just filling up the names of you and your lover. There was not place for you to explain your situation. I received an email that my reading was completed, in just 2 hours. The email was freaking long, which I believe was just a beautifully made up template by replacing the names. In the end of that email, she offered 3 spells at $65 with a link for payment. I was stupid to fall for the trap that time and paid for it as I was miserable. I then received a shorter email that the spells cast was complete, in just 5 hours! I emailed back to explain my situation and ask for advice not long after, and guess what? I never heard from her again. Aww so sorry to hear that, BrV. We are all glad you are here now though. Yeah I agree with you on the whole spell casting that they apparently do. No spell can be completely in that short amount of time. I heard that some people didn't even get confirmation emails saying that the read or spell was completed and they lost their money! I'm sorry you lost your money there but I know you won't lose it here. Some of the spells that Asha offers are even cheaper than the price you listed above and they do work! She can be trusted and she will even recast if you don't see results. Unfortunately, I used Ariana and she suggested a spell to be when I filled out the form on chiefshealingtees.com. Ariana's free psychic reading was completely wrong and felt like a template. Hi Andria, My name is Ariana and I just wanted to let you know that I did a quick aura reading on your spell request for Keith to fall in love with you and wanted to let you know how it went and what I discovered. I first want to thank you for visiting our site and requesting a reading, we appreciate that! When reading Keith I saw a lot of blockage that's coming from past experiences in their lifetime. This is fairly typical for most people since everyone carries some sort of "baggage" from past crushes, romances, relationships, broken hearts, trust issues, etc. Some people can move on from certain experiences but will hold on to other experiences and this carries on into all future relationships, even if they aren't romantic relationships. It's normal for most people but in this case I'm getting something very heavy and before doing any type of spell I think it would be wise perform a heart chakra clearing spell so that they can be released from these past experiences and start with a brand new slate. That will make them more open, expressive, and trusting of people which will not only benefit your own romantic interests but will be beneficial to them as well as past baggage that isn't dealt with can be released as passive aggressive behaviour, make them bottle up their emotions, and even lead to things like sabotaging perfectly good relationships. I also saw that Keith has a lot of romantic admiration in his aura field coming from another person besides you, I'm not exactly sure who it is but it seems to be somebody that's in proximity on a somewhat frequent basis. It could be a friend, coworker, classmate, neighbour, friend of a friend, etc but what is clear is that they haven't acted on their crush or revealed their feelings but these feelings they have for Keith are pretty strong. At first I thought it may have been you but your auric admiration is more of a deep blue or purple, their auric admiration is a mixture yellow and green. Reading the aura of Keith I can see that this person is in the category of "platonic acquaintance" so they don't have any romantic feelings for them in return at the moment. It would be good to also use a banishing spell so that they lose interest in Keith and get over their crush before they decide to act on it or reveal their feelings. Usually banishment spells are used in order to cause a breakup but since this person has such strong feelings for Keith I think it would be wise to use it so that if you two were together you wouldn't have to worry about them having their eye on Keith during your relationship. Since Keith has heavy issues holding them back and the person with the crush has a yellow & green aura they would provide Keith with a lot of love and nurturing but in a somewhat dysfunctional way. It would probably end up being a co-dependent relationship but in that type of relationship Keith could easily and rapidly develop a sense of comfort and safety in a way that they may not find in another person so in my opinion it's pretty important to perform the clearing and banishment spells. Now as far as having Keith fall in love with you after reading both of your auras I can see that you two would be a great spiritual match for each other but it seems clear that Keith will really need that clearing spell so make sure it's the first spell that is performed but aside from that you two have very synergistic spiritual energies. In your case I think you and Keith would best be served by a heart chakra binding spell, in some cases you would also want to bind the other chakras but since you two are so spiritually synergistic that can sometimes do more harm than good. A heart chakra binding spell will cause Keith to develop deep feelings for you and cause them to act on it and from there the other chakras will bind themselves in an organic and natural way. This is my preferred way because although it is possible to "force" somebody to love you that is a rather dark and unfulfilled type love that you may perceive as forced or robotic. By solely doing a heart chakra spell you don't force love but rather a really deep and emotional crush and then that crush will naturally evolve to true love which is much more meaningful and special. It's also much more in line with white magic rather than black magic spells. We do not use black magic spells but in speaking with others who do cast them most people who request those spells ask for them to be undone because they discover that it's not the type of love that they were hoping for. With this white magic approach the success rate is just as good and when we see 2 compatible people like you two it's up in the 90% range. Things do move a little bit slower in the beginning but the love is much deeper and meaningful this way. Even when it's with ex partners the success rate is about 75% because the heart binding spell allows them to see with clear vision why you 2 would be a great match and lets them focus and feel the spiritual connection rather than the insignificant things that may have gotten in the way of the relationship in the physical world. Really the only downside to the heart chakra binding spell is that it's a little bit slower because it's a more organic and natural process. I'm sure you've had a crush on somebody before and could relate to the experience of wanting to tell them how you feel but at the same time being a little scared about moving forward. They will experience the same thing when the spell is performed on them so it can sometimes take a few weeks for them to act on their feelings. So to summarize I suggest you run a heart chakra clearing spell, then a banishment spell, and finally a heart chakra binding spell and try to spend more time with them and don't be afraid to initiate conversation even if it's just tiny chit chat. It may take them a few weeks or even a month so just try to let everything unfold naturally. During this time you may notice changes in behaviour, when some people get a crush they act cold and aloof in order to protect their feelings, others follow you around like a lost puppy, and others play a game of hot/cold where they might really be into you 1 day and then cold the next. Whether or not you decide to use our spell casting services I hope this reading helped you in regards to how you should move forward. If you decide to use our spell casting services we can cast all 3 needed spells for the price of $65 and are confident enough in our performance that we offer a 30 day money back guarantee. If after 30 days you don't achieve the desired results we can either cast the spells again for free and extend the guarantee another 30 days or provide you with a full refund. We've saved your initial reading into our notes so if you decide to use our spell casting service we will be able to pull up everything from this reading and begin casting the correct spells right away. Thank you and I wish you the best luck with Keith. @deadlydesire18 , there is a big possibility that whoever is behind this website used to sell t-shirts with horses on them. I guess the business wasn't successful for them so they turned it into a spell casting website using the same domain name they already owned. The reason I believe this to be true is because the creation date on the website dates back to 2011. This wouldn't be true if someone new purchased chiefshealingtees.com after it expired. Thank god I found Ashra. My only regret was not finding her sooner. Hi deadlydesire18, I have never heard of Ariana. I'm new to all of this, I just had my first spell casted yesterday by Ashra. I have read many stories on this forum and a lots of success stories, yours was one of them. I just have a quick question... why would you be looking for another spell caster if Ashra has been helping you and you have seen results? Sorry Its none of my business, but I'm just trying to be positive and believe that I wouldn't have to look for another spell caster. I've experienced the same with chiefs healing tees. I sent them an email they did get back to me. Within asking for more help they only sent me the same email which was sent before. It's fake these people don't care about. Ashra on the other hand is not what I refer to as a caster but a "friend". Even if she's busy she makes time. She clearly shows she won't stop until desired results are achieved. It annoys me these casters mocking people for there hard earned money. Ashra is my friend and I wish she gets whatever she desires in life. At the end of the day we all have problems but at the end of the day, for someone willing to give someone the life they've dreamed is an angel send by God. I usually cry myself to sleep thinking, I'm not good enough or maybe I'm Just ugly and no one might not want me for a reason. I now have hope. I've learned before it gets easier it will get harder. My spells will work at the right time. When my dream partner does come to I will never let him go with Ashra's help. I had never heard of or come across this website before, but from your description it definitely does sound like a scam. The fact that the website is a discarded and reused website without even having the name changed seems to be the biggest red flag. Like, that just screams amateur because its so silly to be using a name like chiefs healing tees to sell spells. Ashra, who we all KNOW to be genuine, actually took the time and effort to create her OWN website and did a fantastic job on it too! That's one of the many things that shows us who the real professional is here. I too fell for this. I gave her the names of me and my lover and then two hours later she wrote a huge email and then she asked me for money and that when I was like okay I will keep looking do not want to be scammed. Then I found Ashra and I couldn't be any more happier. She is real and will not tell you things you want to hear. I was a little hesitant giving a stranger my situation but i figure i had nothing else to lose. Now i am here hoping she will help get me him back. Hi radugue, I'm actually not looking for another spell caster lol. I just did some research on some spell casters such as ChiefsHealingTees to compared to Ashra for a video and also to warn people about who not to use out there on the Internet. I've never used Ariana and I never will. I still think it's silly that this used to be a website that sold horse t-shirts and nobody ever bothered to change the domain name of it. Also, congrats on your spell, it's always a great feeling to have one cast and welcome to the forum. @deadlydesire18, yes I'm glad that I'm here now with you guys. I decided to contact Ashra right away after reading this forum with positive reviews from many members. @Andria yes the email looked exactly the same as the one I received from Ariana !! I knew something was fishy, how could a reading gets completed in such a short period, because it's just a simple copy and paste! It's 100% confirmed as a scam now. I received exactly the same email from Chiefs Healing Tees!!! I'm content with Ashra anyway. She's my friend. It's annoying how these casters try get away with it. That's shameful a template. All that's been done is a change of names. I am a bit surprised to find that some members here have used other spell casters, after having found Ashra. I hope I am wrong in my understanding. Ashra is the real deal and now that we have all found her, we should forget all other spell casters. Ashra has been casting spells for 16 years and now getting on to 17 years in October this year. That is proof enough. Long may Ashra have good health and long may she continue to help all of us with our respective problems. I do not think that they are trying other spell casters after finding Ashra. I think they are talking about their experiences with other spellcasters before they found her. Or they are looking for fake spellcasters so they can warn others about their false services and advise them to not use them and to turn to Ashra instead. But yes you are right, Ashra is the real deal and those who have found her do not need anyone else because none of the others can compare to her. Thank you deadlydesire18, I really appreciate. It's been very hard lately and this forum has helped me a lot, just a few moments ago I burst into tears, I love this person so much and it's been really hard to even function throughout my day. I have faith that Ashra will help me, and it's very comforting to know that so many people have gone through the same and has gotten positive outcome. I have no other option because I am certainly not going to use chiefshealingtees... Ashra is my last hope. And I'm really looking forward to let everyone know that my spells worked. I think we all agree that Ashra is the real deal so it would be foolish for anyone to use Chiefs Healing Tees or buy whatever Ariana is trying to sell you! I also believe that the persons above are describing situations prior to finding Ashra. Deadlydesire18, I think it is a great idea to make others aware of scammers. One way to definitely do it is to put it on this forum so people who are searching are able to find the information rather than believe the scammer reviews on their websites. Let's all keep positive because the spells that Ashra cast will definitely manifest as long as we follow the guidelines. It may take days, weeks or months but eventually they will fully manifest bringing a smile to your face immediately. Best of luck to all and I hope to hear more success stories in the near future! Stay away from the scammers!! Ashra has your back. Hi! Pranky, I presume that you are right. It would be foolish of anyone to waste their hard earned money on fake spell casters after finding Ashra. I also think it is a waste of time trying to expose fake spell casters as there is no advantage in doing so. Hi @Nemo, I have to disagree with you on that. We may have found Ashra, but there are still a lot of people out there falling into the trap of these fake spell casters every single day. It's important for members to share their past experience with fake spell casters, so that others will be fully aware and not look for them. They need to be exposed, so that no one will be their next victim and they won't be around for long. 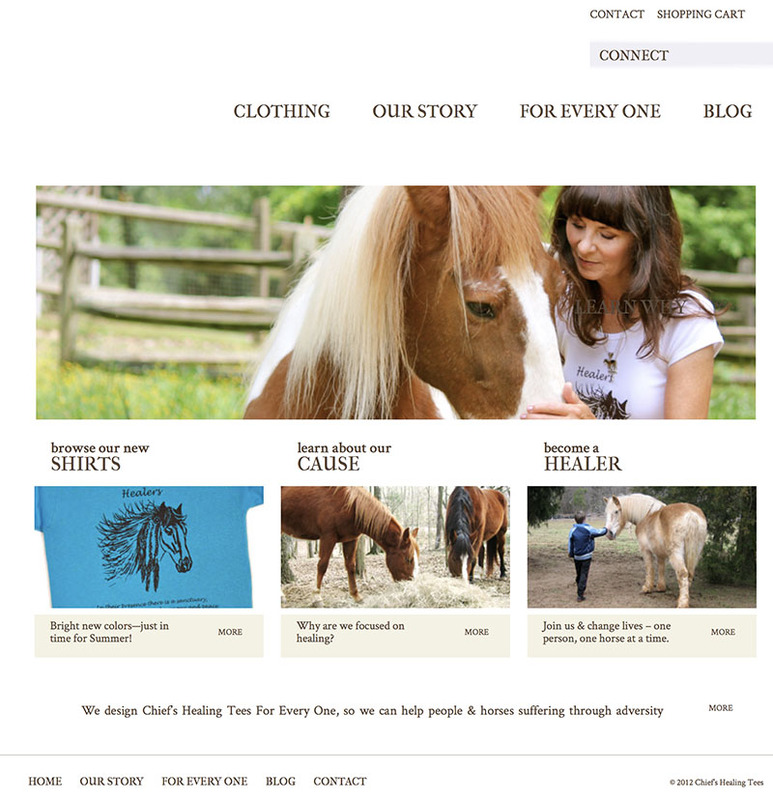 I managed to find images of what www.chiefshealingtees.com looked like before it was converted over to being a spell casting website with a character named Ariana. Background Story behind Chiefs Healing Tees that references Katie Holme and how her meeting with a Chief changed her life. Haha, that's what I found too, Andria. Nice job. I originally found that out through some reviews. I know that there was some article kind of review left and those images were there and I just thought the whole thing was silly. Why use a discarded website that has no relation to any kind of spell casting? I can't believe a lot of you guys have been scammed by this website. I truly feel for all of you and I'm glad that I didn't use this website at a time when I was really low and needed almost anything that promised me results. Stay away from this website guys. Wow I have never heard of Chiefs Healing Tees and I'm so glad I haven't. I totally agree with you no one can guarantee to cast a spell so fast even Ashra can take a few days to cast. They make me sick on how they take money from vulnerable people and never have proof. We are lucky we have Ashra as she is a real person, has a proper address and actually casts your spells. 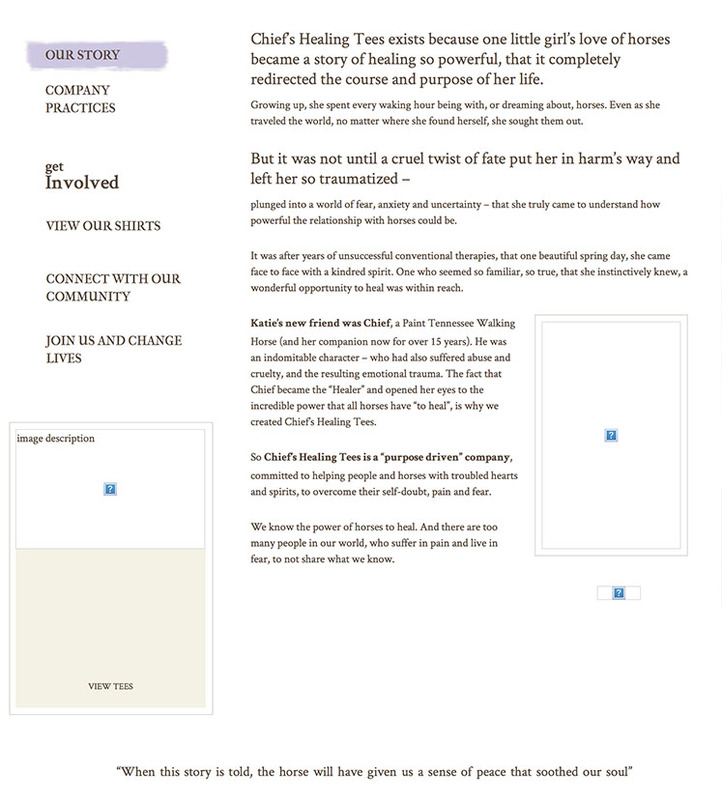 Wow, the original website www.chifshealingtees.com looked like a really nice site actually. The story is so sweet and touching. What a shame that it had to be taken over by a con artist and used for such nefarious purposes as scamming vulnerable people. That is so corrupt. I am guessing the business reached a low point and the original owner of the website sold it over to Ariana. I bet they regret it now, seeing that Ariana is using her website to lie to people. Well I am mighty glad I never came across this website until now, I found Ashra just in time. I was a victim of foul play just before working with Ashra Koehn so I can relate with anyone who fell for this trick from Chief Healing Tees. It so nice of you to have exposed this to us. It's an eye opener any day. It never ceases to amaze me how certain individuals work together to find ways of capitalising on other people's misfortunes and they succeed for long without getting caught. Well done Andriea. A great find and thank you for this. This has certainly warned many members on this forum to be wary of other spell casters who advertise on the Web. Since I have now found Ashra I will never ever bother with any other spell casters. Ashra is a good friend to me and will stand by me until I have full manifestation from my lover. I had contacted the Chief Healing Tees before I came across Ashra website. The woman on the website had me convinced that she can help me with my situation with her detailed information which I can say was spot on. At the end of the email she say I can help you get him back with 3 spells combined for $65... It sounded really good considering how desperately I wanted my ex back. When I emailed Ariana back 3 times asking how and where to send the money to she never replied back that when I had a gut feeling she was not a real spell caster. I'm so glad I didn't send the money before asking questions. Now I came across the lovely Ashra. It may be taking time to get him back considering how stubborn my lover is but with Ashra's help, I know it will happen. She seems to be really lovley the way she has been with me so far has come as nice supprise as everyone else I jave spoken to have been scammers and finally a really caring person. Seems as if I have been lucky. I haven't spent anymore. Yes I have almost falling for Chief Healing Tees spells. Ashra is the only on that has seemed legit. Seems like so many of them I have looks at wanted over $500 without even really knowing anything. Some has even been rude. Please take your time by reading on them. Oh my word Andria! This is EXACTLY, word for word, with the exception of Keith's name, the very same response I got from Ariana!!! I don't know if I should laugh or just let my jaw hit the floor! I tried her right before I came across Ashra. Thankfully there wasn't a transaction because I'm unemployed at the moment. When I emailed back stating this and asking if there is anything else she can help me with for free, she never wrote back and thank God for that! I must say, she's even more brazen and insulting than Xara Beatrix (yes, been there too). Thank God for Ashra is all I can say!! Hello Deadly! Thank you for making this thread. I have no experience with Ariana's website Chiefs Healing Tees. I don't even know that she is exist . The website you mentioned about sounds new to me, I will check it out later. Based on what you wrote down in your post, I am definitely sure that she is also a co-n artist. It is so terrible that she lurked people into her website and got them scammed. I am so sorry to those who lost their money with her. Scammers usually uses good words so that their victims can trust in them. I hope nobody will fall for the trap. I'm pretty sure they're fake and out for your money. I heard of them before and decided to try a free reading from them, luckily i did not give them the $65 for the 3 spells they were willing to give to me. At first I thought it was real, until they came across a part that seemed to not fit the scenario, as there's not anyone else too involved. Which is a red flag in my opinion. In my opinion, Ariana from chiefshealingtees.com is a scam, and untrustworthy of a sight to use. I'm lucky to not have wasted my money on it but just know that if you come across them, to not fall for their scam. It is a fake site and are out for your wallet. I hope I've helped you all, have a nice day! I also fell in to the trap of this website - I asked for a reading from Ariana and got it in a few hours, and said she can help bring back my lover, and costing me only $65 for 3 spells, I thought I'd hit the jackpot and found somebody who could bring my lover back. The email and website says if I don't see results I could ask for a refund, this never happened and of course my lover is still not home. Clearly another scam operation, decent website on the outside, scum on the inside. Ashra all the way for me, from now on. Hello Kevin! First of all, welcome to the community my friend. I am so sorry that you had a bad experience with this fake spellcaster. I have heard that some members also have fallen into her tricky traps and she acted like she was the real deal. Oh I didn't know that she also offered a reading. Ariana was good at making good words to get people scammed. She even told you that she would give you a refund which is impossible. You are at the safe hands of Ashra. I am really hoping that you will get your results soon. Have a wonderful day!! Unlike Chiefs Healing Tees, Ashra clearly lists her policies and also has an FAQs page to further help people get answers to their questions. Hi Fera, thank you for the warm welcome. Yes, this Ariana sends the same generic email, I thought I'd try and send a completely made up name and what y'know, same generic reply! I felt so stupid. I emailed the company several times and got nothing in return. What a plonka! I wish, I wish I knew about Ashra a long time ago and I hope to God her spells work like magic and bring my lover back to our family. I also used Arianna before i found Ashra and the reading she gave me 3 hours later was so dead wrong. So she then said if i gave her money she would cast 3 powerful spells that would bring him back to me the next day. Well I did not fall for that and began to look again and that's when i found Ashra and I could not be any more happier. After talking to Ashra she made me feel very much at ease and answer all my questions and I know her spell are real and explained to me that things do not happen overnight and things like this take time. Ashra has given so much hope and i know she will bring my lover back to me very soon. I actually saw her website when I was searching for spellcasters. I had a funny feeling about her. I did do a lot of research on Ashra prior to emailing her. I found this forum and read all of the comments clarifying how she was real and how people where trying to act like they were Ashra. It is sad how people can actually feel good about being a scam artist. I'm glad you too found Ashra! I will never ever reach out to anyone other than Ashra! She is a true, genuine spell caster!! Good luck and welcome to the forum @Kevin Gibson. Hey guys! I have never heard of this website and I am glad! Because this is honestly one of the stupidest things that I have ever heard of, I honestly can't believe having seen the photos of how the website used to look I can't believe that it used to be a horse related t shirt website. I can't believe someone ended up turning it into a spell casting website! That is so crazy. I find that completely ridiculous.we have a lot of good detectives on here sounds like. Good job everyone! After doing my own research on chief healing tees, I can say this is a website is only there to take your money. The detailed info that she gives is the same info format that she will give to everyone. It sounds legit and very believable until you realize she is giving everyone the same info. Im so glad also that i found Ashra. She is so genuinely kind and beautiful inside and out, I believe she can help everyone on this forum. Its also a matter of staying positive and keeping busy! Hey guys! I personally have never heard of this website and I have never had any dealings with them. And I am very thankful for that. I have seen the photos on this thread of what the website used to be. I can't believe that it used to be a horse shirt website. And was turned into a spell casting websites. That just proves how lightly they take things and proves that they are just out to try anything that will bring them money. I am glad that this has been put out there to stop anyone else from becoming victims. And I am sorry for those of you who already fell victim to them. But you are in good hands now with Ashra. I've also had my personal experience with chiefshealingtees! To be honest they aren't real.. they send you prerecorded written emails saying they did a read on you and your lover and that you two are a good match ( If that makes sense ). Then they go on about another person other than you having feelings for them. They say a couple of cleansing spells and then they say they can preform it for you. Do not fall for it! They take your money and never email back. Or when they do they explain that they can't do anything about it. I am so glad I found Ashra's forum when I did because I was 80% close to giving them my money . They honestly seemed so real at first but trust me take my word for it. They are not. Stick with Ashra she the realest of them all! I really thank god I found Ashra .. now I know for sure my situation is in good hands ! Best of luck to you all and remember to stay positive!